Calgary-based artist Bev Tosh has a new exhibit at the Royal Air Force Museum in London, England. It explores the deeply personal stories of the trials and tribulations experienced by WWII war brides. During the Second World War, thousands of European women met and fell in love with Canadian soldiers stationed overseas, leaving their home countries to build new lives with their husbands in Canada. Calgary-based artist Bev Tosh has been documenting the lives of these so-called "war brides" for nearly 20 years. 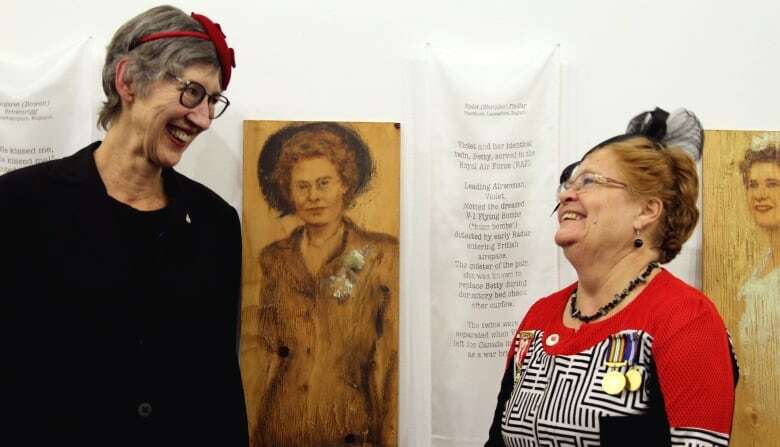 She has a new exhibit at the Royal Air Force Museum London that explores the deeply personal stories of the trials and tribulations experienced by these wartime unions. "It feels right, so many of the women came from Britain, from London," Tosh said. "I wanted to bring them back here in a public way." 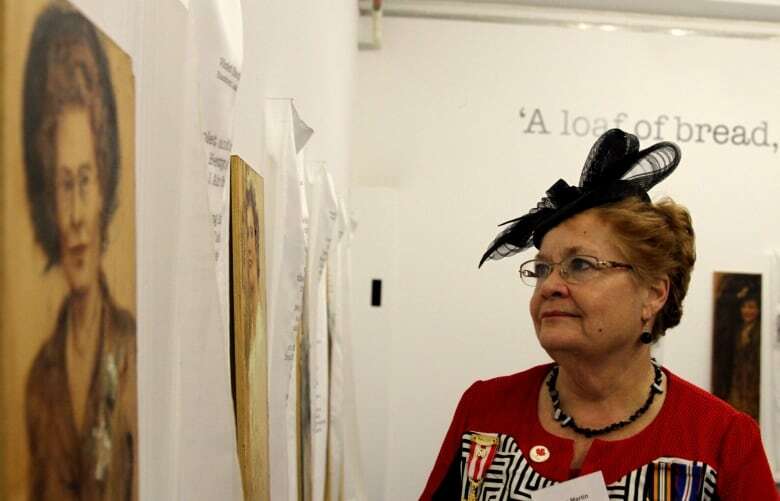 The exhibit, War Brides: One-Way Passage, features the portraits of 40 war brides on their wedding days along with their stories printed on silk beside them. Tosh's work focuses on war brides from the Second World War. From 1939 to 1945, half a million Canadian soldiers were stationed in Britain, many for three or more years. During that time, as many as one in 10 of these servicemen married local women, leading to an influx of European women immigrating to Canada in 1946. The lucky brides where the ones whose husbands survived the war. They were expected to leave their homes and move to his native country, although many women who crossed the sea to live in Canada were abandoned by their husbands. Tosh herself is the child of parents brought together by war: her father was a Royal New Zealand pilot and her mother was a Canadian war bride. She hopes those who view her exhibit leave with a better understanding of the strength of these women who left their homes for an uncertain future in a new country. Tosh said she has has heard hundreds of war bride stories, each unique. She doesn't know when, if ever, her work will be complete. "I keep thinking I'm finished," said Tosh. "I don't know, I've never known. I thought I'd be lucky to get 12 and I'm somewhere between 150 and 200." One person's story in particular caught her attention: Violet Findlay. Violet Findlay, born Violet Sharples, was a leading airwoman in the Royal Air Force. Her identical twin, Betty Sharples, was also an airwoman. Though identical, the two could not be more dissimilar in personality. Violet was quiet and reserved, while Betty was outgoing and loud. Betty was often late for curfew at their barracks, so Violet would pretend to be Betty during bed checks since their bunks were at opposite ends of the room. 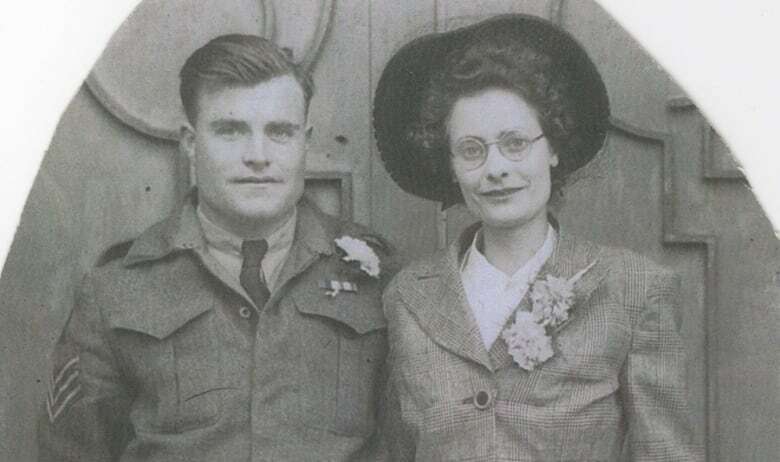 The sisters were separated after the war when Violet married George Findlay, a Canadian soldier, and Betty married a British professor. Violet moved to her husband's farm near Davidson, Sask., which was a stark difference from her home in Blackburn, Lancashire. The couple went on to raise six children in Saskatchewan. Their daughter, Lynn Martin, is president of Canadian War Brides and Families. She met Tosh at a war bride reunion several years ago and the two struck up a friendship and have been close ever since. "I consider her like a sister," said Tosh. "She has an empathy that's deep within her. And I assume her mother must've been like that." Soon after that meeting, Tosh knew she had to paint Violet and tell her story. Martin, who lives in Calgary, said that growing up, she knew her mother was different from other mothers, though she didn't learn what a war bride was, and that her mother was one, until the age of 17. 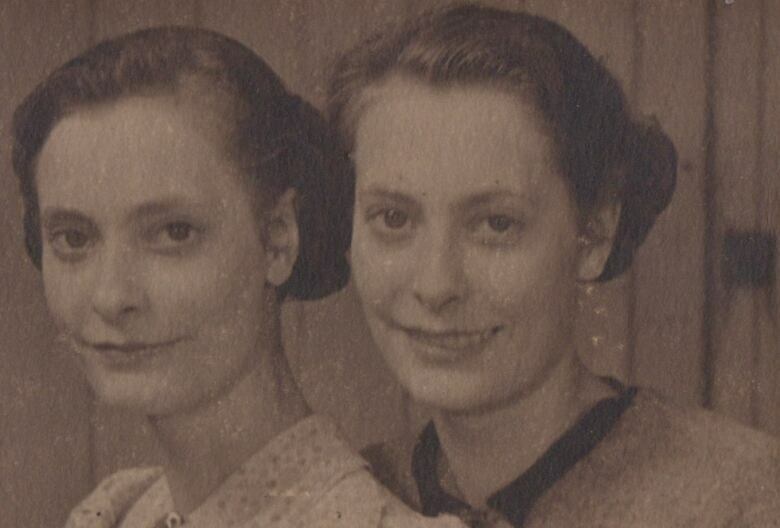 She said her mother, like many war brides, did not always find a warm reception in Canada. "It was hard to get to know the ladies in Canada because they were … some of them were a little upset that their men had married foreigners and they weren't marrying their sweethearts from high school," she said. Nevertheless, Martin said her mother was one of the lucky ones because she had her husband. 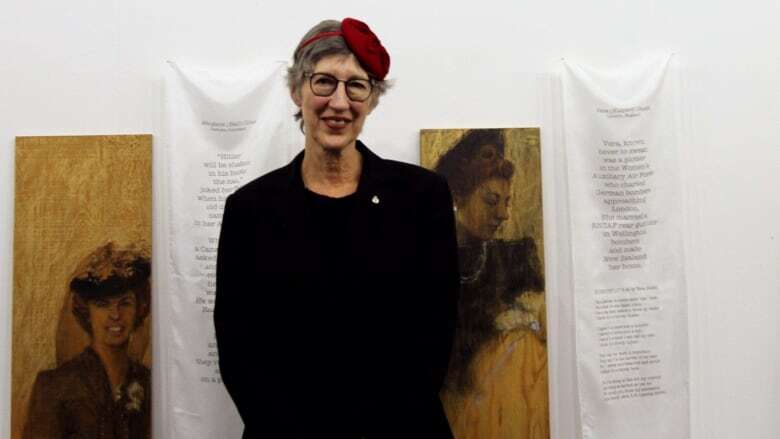 ​Seven decades after her mother crossed the Pacific Ocean as a Canadian war bride, Martin made the trip in reverse to see her mother's portrait exhibited in London. Violet died in a car accident in 1981 at the age of 60. Seeing her mother's portrait helped bring Martin close to her mother once again. "I think she'd be very, very proud, you know, that somebody took the time to paint the picture to tell her story," said Martin. Martin said she hopes that after people see these portraits, they will not only remember the veterans of the Second World War but their wives as well. War Brides: One Way Passage is open for the public to view at the Royal Air Force Museum in London until September 2019.